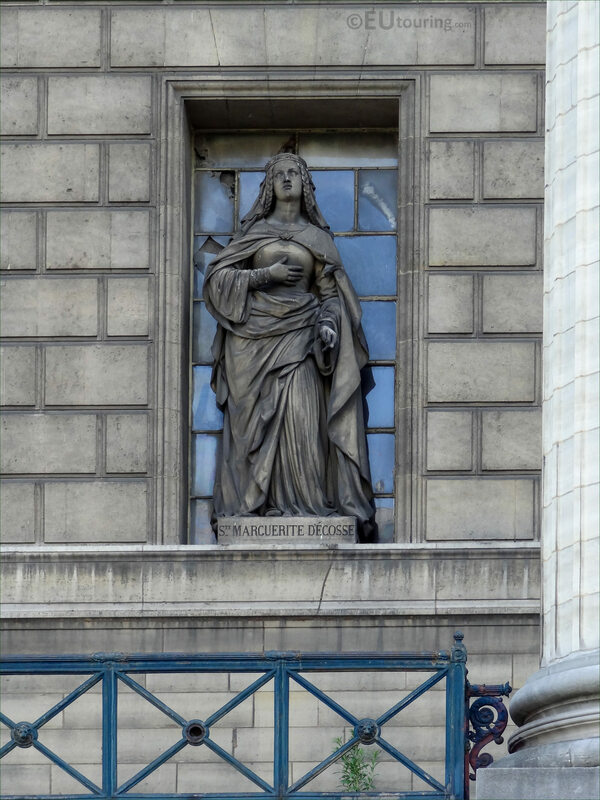 We were in the 8th Arrondissement of Paris at the Eglise de la Madeleine when we took these high definition photos showing a statue of Sainte Marguerite d'Ecosse, which was sculpted by Francois Augustin Caunois. 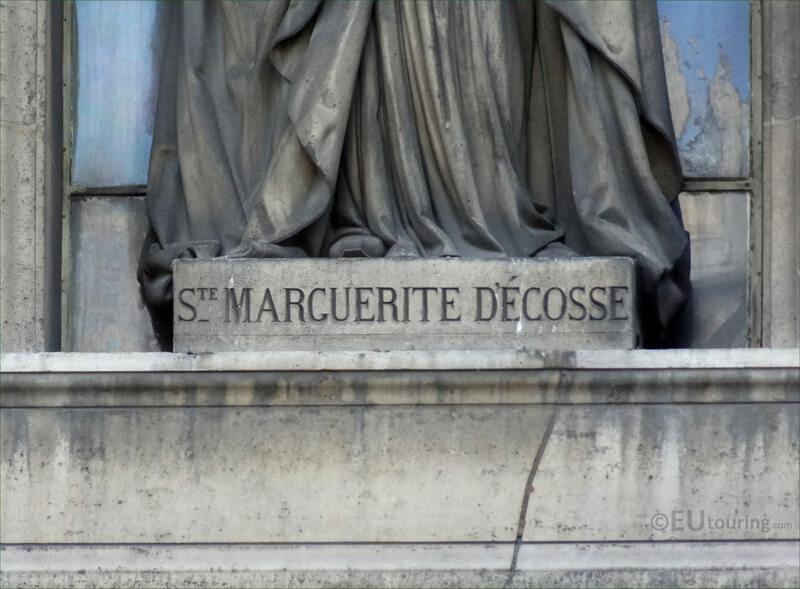 This first HD photo shows a stone statue on the Madeleine Church depicting Sainte Marguerite d'Ecosse, which in English translates to Saint Margaret of Scotland, who was an English princess born in Hungary, but shortly after returning to England the family fled William the Conqueror and ended up in Scotland where she married the king. 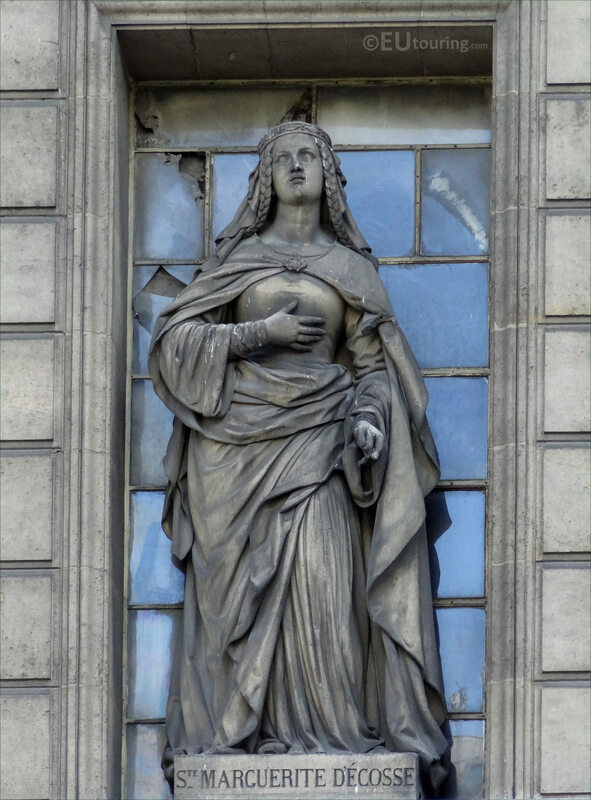 Now this statue of Sainte Marguerite d'Ecosse was produced by Francois Augustin Caumois who was born in 1787 and became a French sculptor and engraver, having studied at the Ecole des Beaux Arts, and presenting works at the Paris Salons between the years 1819 and 1850, Francois Augustin Caunois received many different commissions, including this one. But getting back to Saint Margaret of Scotland, she had eight children that were raised with a Catholic faith, and living as a holy family she had a strong influence on her husband and reign, promoting arts, education and religion, always praying, relentlessly working to aid the poor, the building churches and religious reforms, so Margaret became canonized as a saint by Pope Innocent IV in 1250. And although she passed away on 16th November 1093, Pope Innocent XII changed her feast day in 1693 to one in June, but a revision to the General Roman Calendar, which is the liturgical calendar for celebrations, was revised by Pope Paul VI and in this, the feast day for Saint Margaret of Scotland was changed back to 16th November. 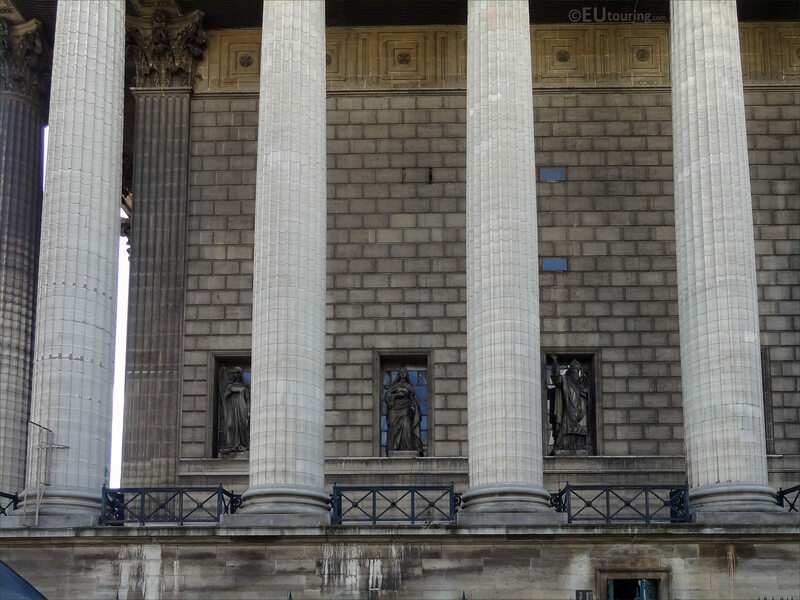 However, this photograph shows the location of the Sainte Marguerite d'Ecosse statue within a recess on the portico of the Eglise de la Madeleine, which is one of thirty-four different statues that can be found on the facades of the church behind the outer columns.